Divorce assets include a family home. Dividing assets in divorce is one of the most difficult tasks and a Divorce Mortgage can help. What will happen to your house as a result of the marriage breakdown you ask? You can get a spousal buyout mortgage up to 95% of home value to buy out a spouse leaving the matrimonial home. We'll get you mortgage help to reduce some of this marriage breakdown anxiety. Under the new government mortgage rules the separating spouse staying in the matrimonial home can now refinance with a CMHC spousal buyout mortgage up to 95% of home value (normal refinancing home mortgage is up to 80% of home value). This lets you cash out tax free equity for equit to pay out the spouse leaving the home. Marriage separation mortgages up to 95% home value. The mortgage insurers are now allowing the best mortgage lenders to underwrite spousal separation mortgages for up to 95% of property value for good income and credit qualified applicants. But, both separating spouses must own the home jointly at the time of separation to qualify for a Divorce Mortgage. This applies to legally married and common-law partners. There are other refinancing home mortgage options for self employed mortgages and bad credit home loans marriage separation mortgages -- ask me to assess your situation and give you the best solution that fits your application. Photo contributed by Deborah Barfknecht Family Lawyer. New! Canadian Government Grants - Do you qualify? 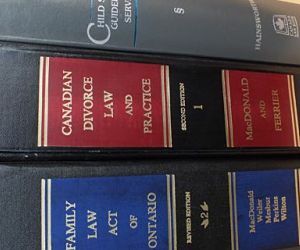 There are some guidelines that apply to marriage separation mortgage transactions for both common-law and marriage separation. Each situation is unique and has to be assessed on it's own merit. Ask me about the marriage separation refinancing home mortgage guidelines. The CMHC spousal buyout mortgage is a home re-purchase strategy with all the benefits you get when you refinance home mortgage. If there is sufficient equity left over after the paying off your spouse, you can also use the funds to eliminate credit card debts. This division of divorce assets information is general - each situation is unique and needs a full assessment. I welcome your call for a FREE evaluation of your marriage breakdown circumstances. One conversation with me will relieve a lot of your stress and you will be able to make good decisions. Are you struggling with a marriage breakdown and worried what will happen to your family home? Thank you for visiting divorce assets and marriage breakdown family home mortgage. Please come back often. Help me spread the word using the comments box and easy to use social media tools provided.